The National Hockey League (NHL) is one of the sports that attracts a large number of following in the US and Canada. The NHL is characterized by physical challenges which at times results in fights and rivalries among the players and teams. There are many reasons that rivalries exist in the NHL including geographical proximity, national pride, familiarity with the opponents among other valid reasons. The Eastern Conference of the NHL is divided into two divisions, the Metropolitan and the Atlantic divisions with 8 teams playing in each division. Some betting sites also take into consideration these rivalries as they have an effect on the games outcome. The Battle of Ontario in the NHL is a rivalry between Toronto Maple Leafs and the Montreal Canadians. The rivalry between these tw o team which play in the Atlantic division is considered one of the top rivalries in the NHL. In the current league schedule the teams meet either four of five times during a full league calendar. 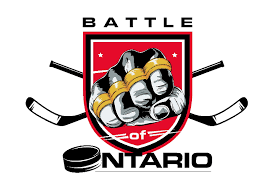 There are many reasons many hockey fans suggest as the cause of the rivalry but a major factor being an old age rivalry between the two largest cities in Canada and hockey being the most common sport in the country. This is a rivalry between Boston Bruins and Montreal Canadians and is dated back since 1924 when these two teams first met in a NHL league game. These two teams have played each other more times in the league and Stanley Cup playoff than any other two teams in the league. The most recent spike of rivalry was witnessed when Boston fired their manager Claude Julien and the Canadians were quick to engage his services. There’s no information on how this rivalry came to be because the two reams are not close to each other geographically, but each team always aims at getting the upper hand.